During the warm summer months you will enjoy a teak garden table like this, when you can sit with twelve to fourteen people comfortably. This robust garden table is perfect for family gatherings, garden parties and barbecues in your garden. This model has also been used in various restaurants and caterings. Besides the rustic character of the wood, the table gives a warm ambiance to your garden or terrace, and will be an eye-catcher during all the seasons. The tabletop is made of individual slats that are bounded by an outer wooden slat. Between the individual slats is a small space left for rainwater to drain. The table can be left outside during all seasons, due to the natural oils that protect the wood. This table can be combined with any kind of garden furniture. This model is also available in 200 x 100 cm (78,7 x 39,4 in), 220 x 100 (86,6 x 39,4 in), 300 x 100 (118,2 x 39,4 in) and 400 x 100 (157,5 x 39,4 in). The teak table is usually always in stock. To avoid disappointment please contact us for more information before you visit our showroom. We have been selling quality furniture in Holland since 1980. 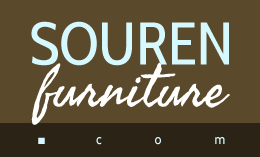 Interested in our furniture for your restaurant, bed and breakfast, cruise ship or hotel? Contact us for enquiries on purchases in bulk or container loads.